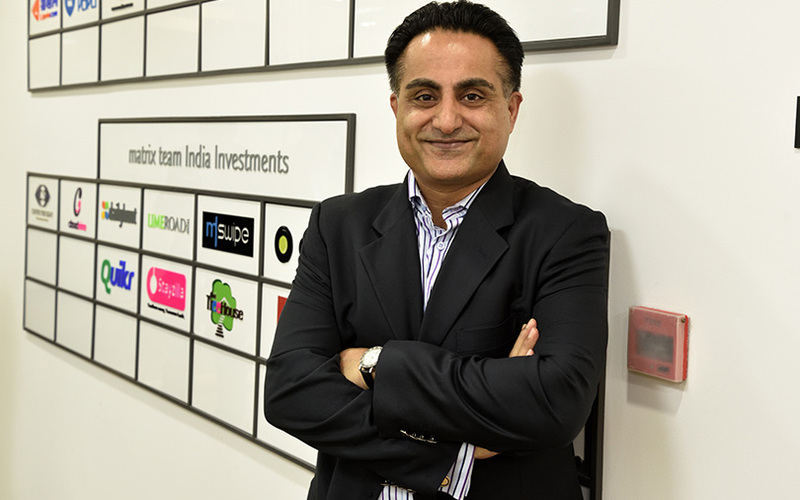 When it started out in 2006, Matrix Partners India invested in a bunch of non-technology companies as it felt that India’s Internet market was nascent. So, it backed non-bank lender Muthoot Finance, school chain Tree House Education, test preparation institute FIITJEE Ltd and womenswear brand ‘W’ from its first fund. However, it also backed online classifieds platform Quikr and vernacular news aggregator Dailyhunt. Which sectors will you invest in this year? In terms of sectors, fintech is over-represented at the late and early stages. E-commerce is under-represented and so this is a big opportunity for entrepreneurs. We would encourage entrepreneurs to start businesses now in this sector (e-commerce). We saw a lot of money going into business-to-business logistics, (but) now there’s not so much. A lot needs to be done. Agri-tech is another sector where a lot needs to be done. We are also looking at the consumer sector. Healthcare is a deep sector which is under-represented by entrepreneurs. At what stages do you see more deals happening in 2018? The number of companies being created has gone down in the last year. This is the right time for entrepreneurs to build companies. The number of deals has also gone down, especially Series A deals. There was a lag effect [fewer deals] in 2016. We will see more Series B and C deals this year. Media and social [sectors] are under-represented. We hope to see more success in healthcare and other traditional sectors. While 2016 was a bust cycle, 2017 was a normal year with evenly paced investments. This [normal cycle] will continue in 2018. This is the best time to start a company and we are keen to invest. Normal cycles seldom come. Since I have been investing I have seen only two-three such [normal] cycles. The Indian market has seen an explosion of users and data usage over the past 18 months. This is a big inflection point. Incumbents know this and this is a good time to be an entrepreneur and enter those markets. Do you think blockchain is here to stay? Our view on blockchain is that it is real. We have made one investment (in the segment). Six to nine months back, we thought India was not there yet [for blockchain]. Will we see more shutdowns in 2018? While 2016 saw a spike in shutdowns, we see that trend decreasing in 2018. Which sub-domains are you bullish on in 2018? We are bullish on marketplaces, fintech, B2B and software-as-a-service companies. Entrepreneurs tend to go in hordes in one sector, such as in fintech. Could you tell us about Matrix’s third fund? What would be its size and when do you plan to launch it? We plan to launch the third fund sometime this year. We had an extension fund in 2016. We are still deploying from that. We made the highest number of investments in 2017. We see that deepening and the pace of investment will continue.